This is a Brasilian four piece band with additional musicians, in 1992 they released their eponymous debut CD and 3 years later this CD entitled Twin Sunrise. The sound on both albums is similar: in general long compostions featuring bombastic keyboards, fiery electric guitar (between Steve Rothery and David Gilmour), many shifting moods and breaks and pleasant variation on instruments (acoustic guitar, piano, flute, choir and strings). Remarkable is the powerful sound of the 5-string bass guitar in some songs. If you like Pendragon, Jadis and early Marillion this is a fine band to discover, not really earthshaking but just entertaining 24-carat symphonic rock. 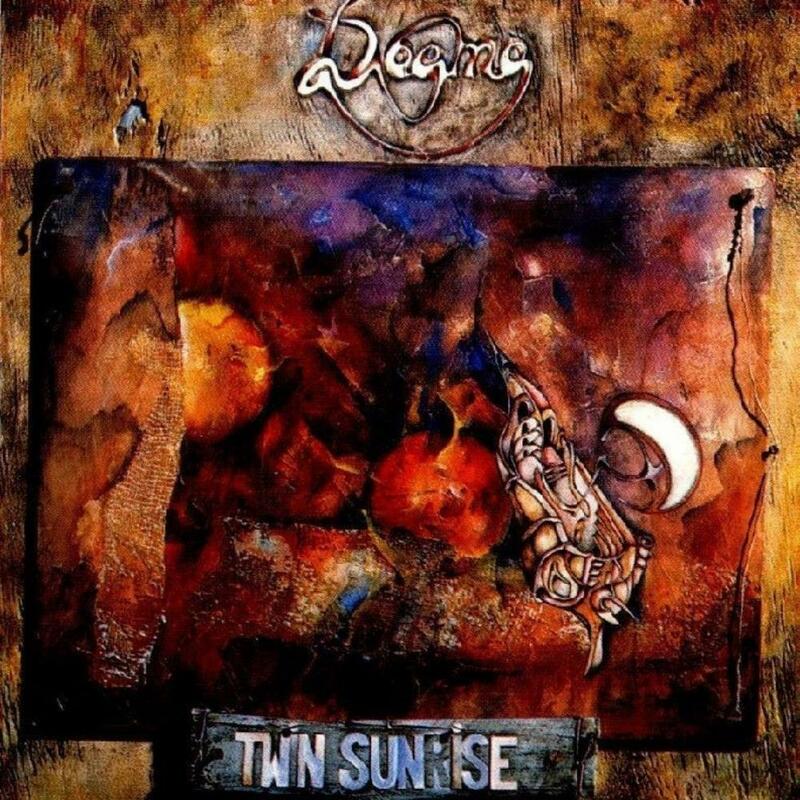 Twin Sunrise (1995) is the second, and sadly last, album by Brazilian 4-piece band Dogma. The music on offer here is very much of the melodic and harmonious variety. Not to everyone's taste admittedly, but certainly mine. None of the regular band members sing so a few guest singers handle the sparse vocals on the disc. The album is a nice mix of short and long tracks that range from the 4- to 12-minute mark, with the longer ones having plenty of room for thematic development. The album opens with Midday and the first impression I get is of the similarity to Camel. In particular, Fernando Campos's elegant and highly emotive style of guitar playing has strong echoes of Andy Latimer. The track builds to a climax just beyond the midway point, where it changes and the keyboards become more prominent. I'm then reminded of fellow Brazilian band Quaterna Requiem thanks to the synthesizer and organ runs. All in all then, a very pleasant and melodic track to get us under way. The Search includes some vocals by guest singer Titi Walter, although the song reaches its halfway point before we get to hear her. Before that we are treated to a delightful Genesis pastiche. Beginning with slightly under two minute's worth of atmospheric keys and acoustic guitar, the song then progresses with a gradual crescendo that features piano arpeggios and drumming that sound like they came straight out of the Tony Banks and Phil Collins repertoires. However bass player Barao's highly distinctive 5-string prevents the track from seeming like a complete Genesis clone. Mind you, once that Steve Hackett-style guitar kicks in... Anyway, Titi's voice is lovely and is perfectly suited to the music. There are a few brief growls and laughs courtesy of keys man Renato Coutinho before a Campos guitar solo rounds things off nicely. Guest string players and a flautist feature on Burn The Witch, an instrumental that to me sounds a bit like Anthony Phillips. I'm conscious of the fact that I'm drawing a lot of comparisons here. However the guys in Dogma aren't mere copycats, I'm just trying to give a general sense of how they sound given that they're relatively unknown. Anyway, Burn The Witch then finishes with some heavenly choral effects. Think of Enya and you won't be too far away (again with the comparisons!). The sound of waves lapping and 'mermaid' vocals introduce Hymn. After a couple of minutes of this plus further choral effects, a raw guitar riff bursts in accompanied by military drumming. This song isn't the longest on the album but it's probably the most varied. Gentle guitar and piano lead into the next section, which has strong echoes of another fine Brazilian band, O Terco. 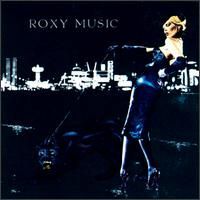 This album might have been a contender for a 5-star rating but for the next song, The Place (Where Are You? ), which features guest male-singer Guilheme Bizzotto. The synthesizer/drum intro sounds like Van Halen's Jump, while the main part of the song is firmly in AOR territory. This just sounds so out of keeping with the rest of the material here. Normal service is resumed on the following track, The Landing. Two or so minutes of sound effects introduce acoustic guitar along with a distant-sounding Benediction. We are then treated to more military style drumming from Daniel Mello and a synthesizer tone that seems to mimic bagpipes. The tempo speeds up with the return of the acoustic guitar and there's a brief electric solo to finish. The title track is the longest here and it closes the album in grand style. There's no need to describe this one, as the mp3 is available here on ProgArchives so you can listen for yourself. This track actually gives a fairly good indication of the remainder of the album. If you enjoy highly melodic but none-too challenging instrumental music you could certainly do worse than this album. Bearing in mind that I'm a fan of bands from South America, I'm going for 4 stars. It's just a pity about that one song that seems out of place, but an excellent album nonetheless. 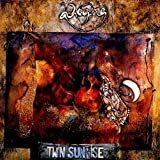 Post a review of DOGMA "Twin Sunrise"